When you take your test please ask how long it will be before the results are normally returned to the practice. Most routine blood and urine tests are collected from the surgery around midday each working day (except on some bank holidays). The samples arrive in Inverness for testing late the same afternoon. Test results are sent electronically to the practice with the first, routine, results usually available from the next working day. They are then viewed by a clinician within the practice who decides if any further action is necessary. Our practice protocol is to contact patients with results if further action is required, for example an appointment or repeat test. If nothing further is necessary then we will not contact you. If you wish to contact the surgery to ask for your results then please take note of the timings above. It is your responsibility to check your results and to make an appointment to discuss them with a clinician if you are advised to do so. 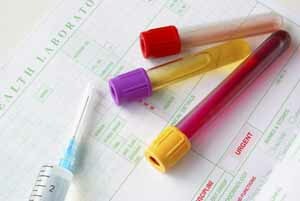 For further information on your tests and their interpretation visit Lab Tests Online.